After the end of the Superman #30 I was looking forward to Superman: Doomed, but ultimately I felt somewhat disappointed in the issue. 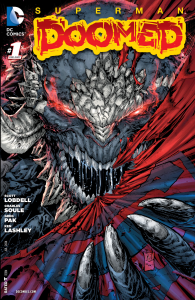 Last month’s issue of Superman was a setup issue that had me excited for the showdown with Doomsday. I went away from Doomed feeling like things were still being setup. The issue was busy and the overall pace of the issue was too quick. 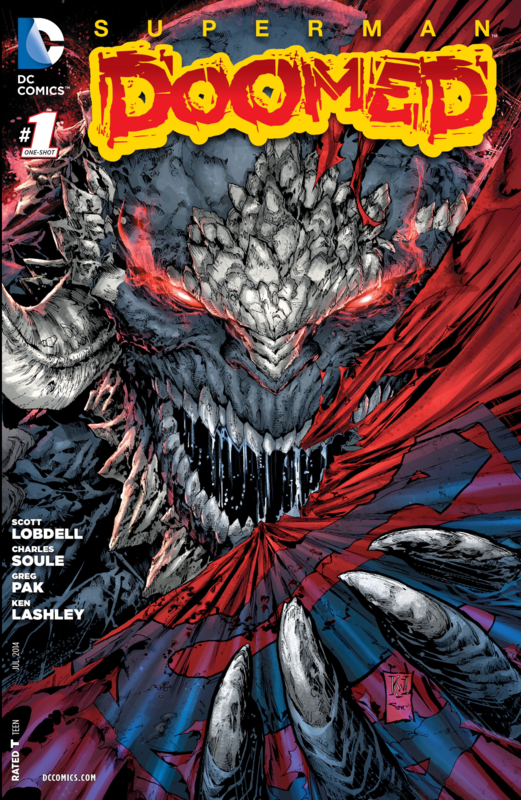 Much of the issue was spent establishing how big of a threat Doomsday was only to have him be rather quickly disposed. I get that a lot of the exposition was to help emphasize the severity of the infection Superman gets at the end of the issue. I feel from a story telling point of view that if you are going to quickly get rid of Doomsday, then this infection should be more of a mystery and explored after his defeat. As I said before, the issue was busy. It would have been nice to see more of a showdown between Supes and Doomsday, and to have left the mystery of Superman’s infection as a cliffhanger. With Soule and Pak working on the project, I’m willing to stick around and see how things play out, but my enthusiasm for the crossover event has dwindled some. From page to page the art appeared to be rather inconsistent. The proportions of Superman on one page were different from the next. Some pages looked cluttered. Most importantly, the art did not add to the story. As I progressed through the issue I had a feeling that there might be multiple people on art, but I was surprised when I saw only one name listed in the credits at the end of the issue.